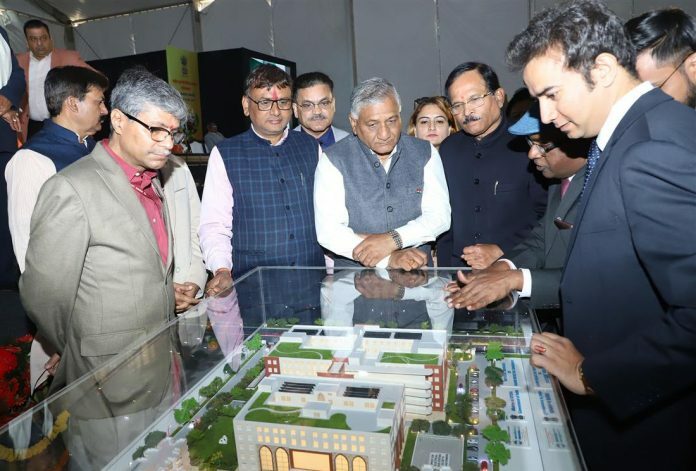 New Delhi: Union Minister of State (IC) for AYUSH Shri Shripad Yesso Naik laid foundation stone for National Institute of Unani Medicine (NIUM) today at Ghaziabad, Uttar Pradesh in the august presence of Union Minister of State for External Affairs General V. K. Singh. Addressing the foundation stone laying ceremony, Shri Shripad Yesso Naik informed that the Ministry of AYUSH is establishing the NIUM, Ghaziabad as a part of its commitment towards provision and promotion of quality education, research and healthcare services through Unani Medicine and other AYUSH systems. He further said that this institute would be developed with an approximate cost of Rs. 300.00 crore on 10 acres of land and would be one of the largest institutes of Unani Medicine in Northern India. With a 200 bedded hospital, the institute would cater to the needs of the masses and would have facilities for quality research and education at postgraduate and PhD levels, he added. Shri Anil Agrawal, Member of Parliament (Rajya Sabha), Shri Vijay Pal Singh Tomar, Member of Parliament (Rajya Sabha), Shri Dharam Singh Saini, State Minister (IC) for AYUSH, Government of Uttar Pradesh, Shri Atul Garg, State Minister, Government of Uttar Pradesh, Shri Sunil Kumar Sharma, MLA, Sahibabad, Shri Ajit Pal Tyagi, MLA, Murad Nagar, Shri Nandkishor, MLA, Loni, Smt. Manju Shiwach, MLA, Modi Nagar, Shri Pramod Kumar Pathak, Additional Secretary, Ministry of AYUSH, Government of India, Shri Roshan Jaggi, Joint Secretary, Ministry of AYUSH, Government of India, Dr. Mohd. 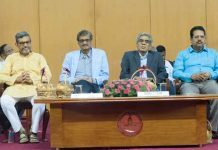 Tahir, Advisor (Unani), Ministry of AYUSH, Prof. Abdul Wadud, Director, National Institute of Unani Medicine, Banglore and Dr. M A Qasmi, Joint Advisor (Unani), Ministry of AYUSH graced the occasion.